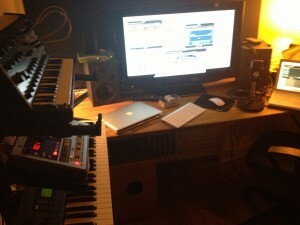 The studio is where I usually hang out to produce anything from rock to strange electronic experiments. Sometimes alone, sometimes with other music geeks, check out the Tracks section for some of our creations. I’m also an SAE certified studio technician, so in case you need some advice setting up your studio, let me know. Whether you’re just looking for a decent sound card or thinking of designing a full blown studio, I’d be happy to provide you with some assistance. If you’re the owner of a studio, you could also hire me to do some freelance recording work. Just drop me a note and we’ll discuss the options.